New York-based Latin alternative duo Blssom’s first single "Baila Conmigo" is available on all digital platforms. The new single along with the forthcoming debut EP will be distributed with Afonico Music/Sony Entertainment. Blssom was formed a couple of years ago by bass player Carlos Marín and singer-songwriter Patricia Cornejo. The duo has been playing high energetic shows in New York, Philadelphia and Washington DC for the last few months, while writing and producing original material. Baila Conmigo is part of the five track EP that they produced along with Brazilian Girls’ keyboardist Didi Gutman at Bunker Studios in Brooklyn, NY. 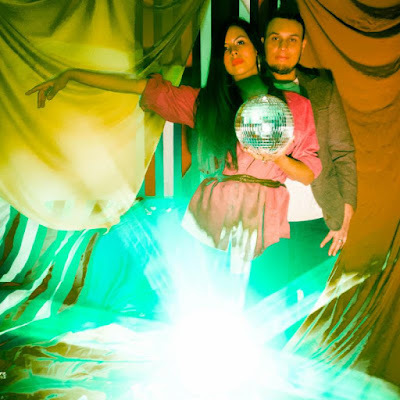 The song shows some of the pop rock oriented music written by the band, showing a hint of tropical beat and elegantly topped by Cornejo’s silky vocals and alluring lyrics. Carlos Marín moved from Colombia to New York when he was a teenager, and before forming Blssom he played bass for several bands and produced music for TV. Patricia Cornejo was born in New York to Bolivian parents, and was a shy bedroom songwriter before posting on the Internet that she was looking for other musicians to start a serious music project. Marín answered the ad and that is how Blssom was born. Blssom will release their first video during the first trimester of 2019 and will eventually begin to tour and promote their new material.